The Neighborhood Leaders Council – Committee on Sustainability is now in it’s fifth consecutive summer. The tours have seen over 600 riders on over 30 different tours in 12 different city neighborhoods over the past 4 years. Hundreds of stops have been featured. This year first-time neighborhoods Santa Clara/Santa Clara Community Organization (SCCO); and South University Neighborhood (SUNA) are included. 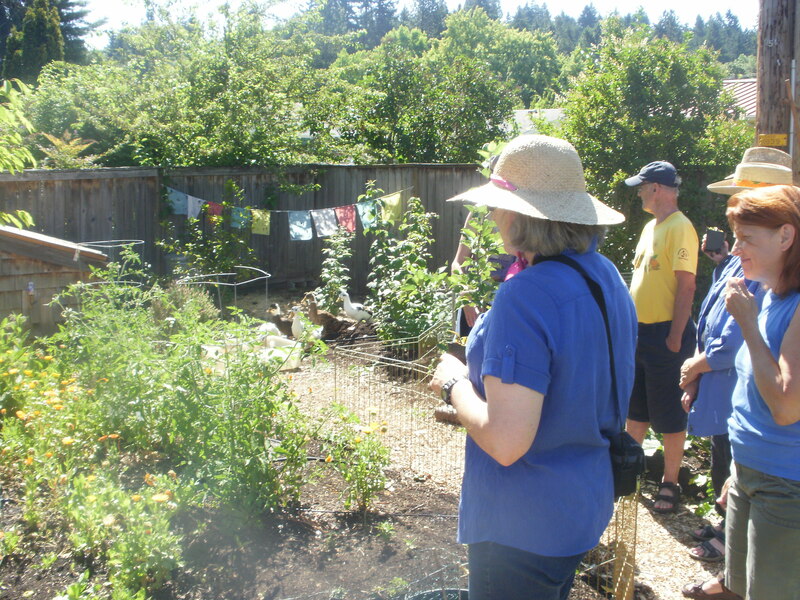 Previously known as the “green home bike tours”, these events have become the more accessible “Green Neighbor (Not Just) Bike Tours.” Please join us by bike, foot (some tours may be all or partially walkable), or pooled transport to visit neighborhood examples of gardening, permaculture, green energy, rainwater collection, beekeeping, chickenkeeping, community gardens, neighborhood cooperation, and more. Visit http://eugenesustainability.org for the latest updates. August 4, 2012 in Community Events.